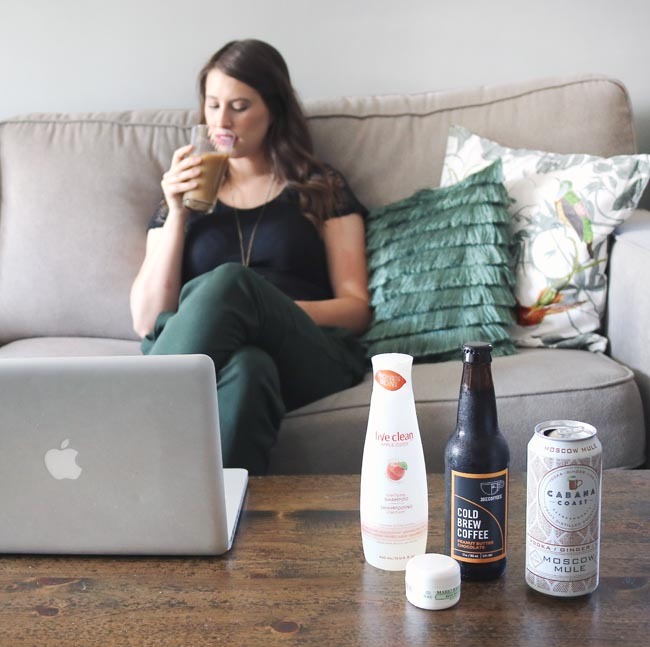 June was quite a busy month and things don’t seem to be slowing down as we head into July. That’s just how summer goes though, isn’t it? We all seem to climb out of hibernation and socialize a little more. I’m going to do my best to enjoy it, however, because time seems to fly in the summer and it will be over before I know it. I don’t have too many favourites to share with you this month, but what you see here are truly amazing and will have a special place in my heart home for a while!! Especially the beverages 🙂 (when I can get my hands on them). 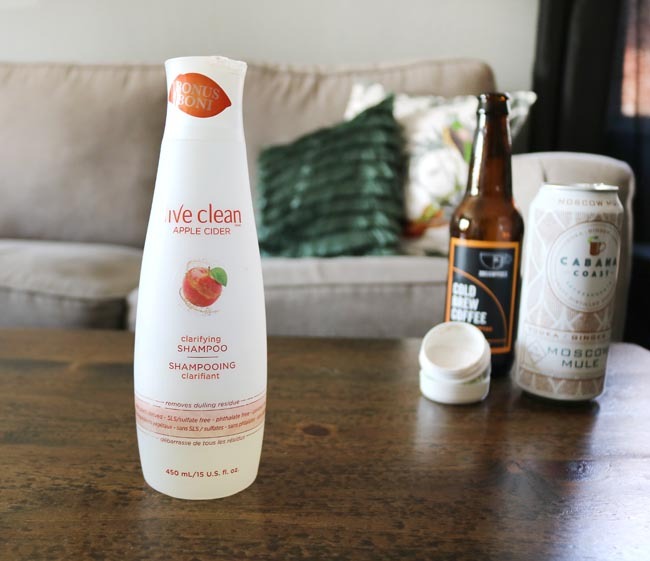 The Live Clean Apple Cider Clarifying Shampoo makes my hair feel clean and soft. It doesn’t weigh it down and surprisingly it doesn’t make my scalp feel dry. It also has the most pleasant apple scent which smells incredible!! I like how this face mask helps dry up blemishes. It tingles ever so slightly and feels cooling on the skin. Overall it has worked wonders during tough times with breakouts. What I don’t like, however, is that the container is only half full. It’s a sample size I received during my shopping trip to ULTA, so I suppose I can’t complain to much. I just feel it’s a waste of plastic! 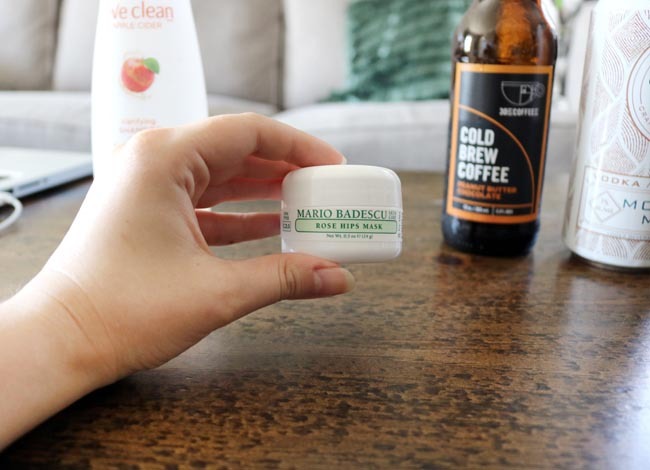 Why not make the packaging smaller, rather than putting an extra piece of plastic halfway down the pot to prevent the entire thing from being filled with product? I discovered 30mL Coffee Co while attending the Beanstock Coffee Festival last month and became addicted immediately. 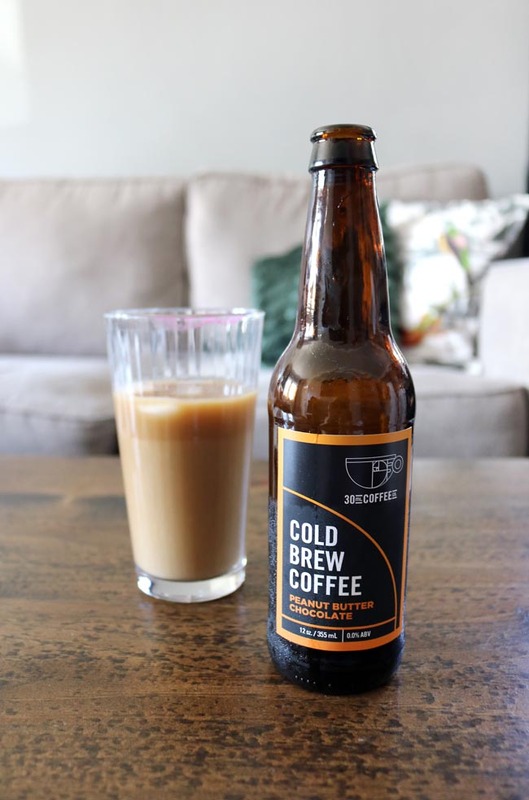 I love anything peanut butter flavoured and the PB aromas that fill my nostrils before each sip of this cold brew is intoxicating!! I have no idea how they do it, but they inject so much flavour without adding any junk. Each bottle is just 3 calories and contains 0 grams of sugar. My favourite way to consume it is over ice with a splash of chocolate milk. I have to be careful how much I drink though! I typically stick to half a bottle a day or else I’m WIRED!!! There’s a lot of caffeine in them (150mg to be exact). Unfortunately, 30mL Coffee Co is a small brand from Windsor and therefore these cold brews are tough to get! A colleague kindly picked some up for me a few weeks ago and I’ve managed to make my stash last all month. There are currently two left in my fridge, which is amazing considering Dev is also hooked on them! If they were more accessible, we would definitely go through them like water. As you can tell, June was the month of cold beverages! 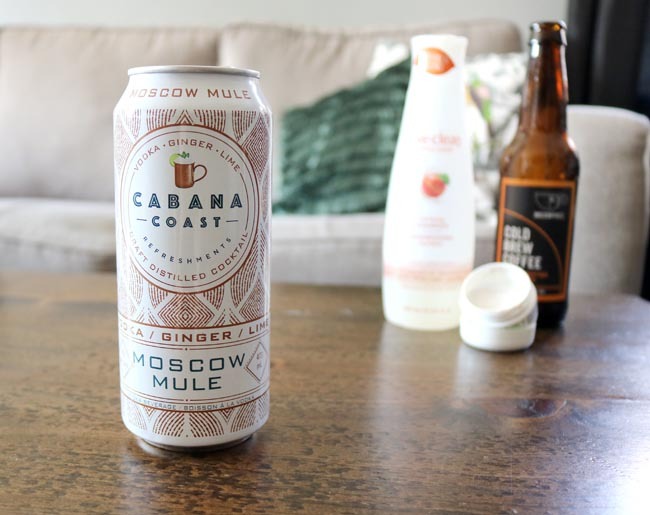 These Cabana Coast Moscow Mules are made in small batches, and therefore can also be hard to find. If you ever spot them in an LCBO, however, I highly recommend you try one. They’re sweet, ginger-y and super refreshing. I don’t find them overly fizzy either, which I personally like. Sometimes super carbonated drinks can make me feel bloated and give me acid reflux. They’ve quickly become my drink of choice for summer and any time I spot them in the liquor store I stock up. 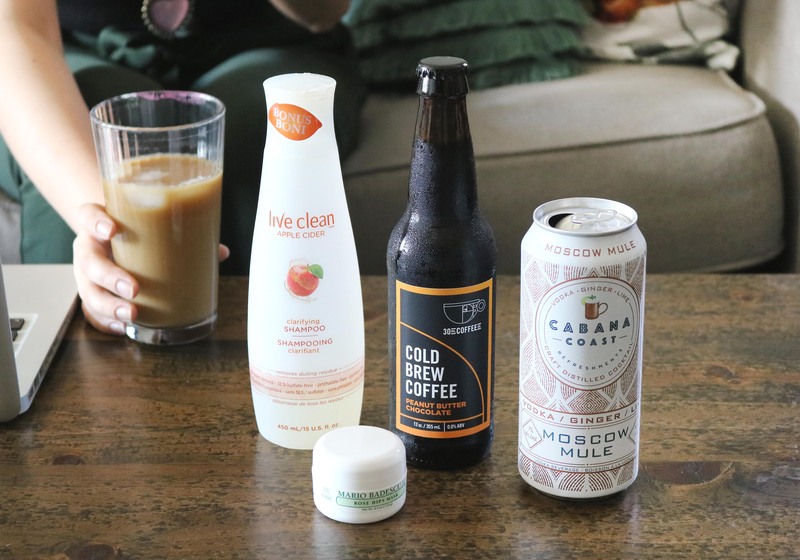 What’s your drink of choice for summer?? Leave a comment below!